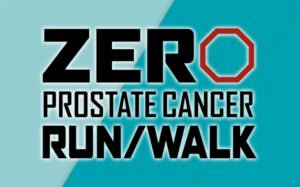 The ZERO Prostate Cancer Run/Walk – Chicago features a 10K run, 5K run/walk, 1 mile walk, Kids’ Superhero Dash for Dad, and virtual Snooze for Dudes program. It also includes a family-friendly post-race celebration. Run/walk participants receive tech shirts, free food and prizes, and the opportunity to connect with others who are impacted by prostate cancer. ZERO is proud to partner with Advanced Urology Associates to end prostate cancer. The funds raised from ZERO Prostate Cancer Run/Walk – Chicago are invested around the country to provide research for new treatments, free prostate cancer testing, and educate men and families about prostate cancer. A portion of the proceeds will also benefit the local chapter of Us TOO International Prostate Cancer Education & Support Network. Us TOO is sponsored by Advanced Urology Associates, the meetings take place the fourth Monday of each month at our Joliet Prostate Cancer Center Location. Receiving the news that you or a loved one has prostate cancer is traumatizing. Life is suddenly out of control and fear takes hold. Often, feelings of helplessness, guilt, isolation and anger emerge. No one needs to face prostate cancer alone. Us TOO provides the forum for sharing, caring and learning through its many programs and services designed for both men with cancer and their loved ones.